It might've been a rainy affair in the 2nd half, but both Aizawl and Churchill Brothers put on an amazing display in the final 45 minutes. Aizawl missed so many chances in the half with striker Bayi Kamo missing too many easy chances. They were punished for that as Churchill got their penalty through Brandon Fernandes and the penalty was calmly finished off by Kromah. But Khalid Jamil's men showed amazing determination in the end as Danmawia scored yet another winner for them as they take a step closer to the semi-finals with this wins! This is Uttiyo Sarkar signing off for Khel Now, thanks for tuning in Ladies and Gentlemen! 90+4' Danmawia again finds himself in some space on the right but is denied by Churchill, who try to launch one last attack but are denied by the referee's whistle! Aizawl take a step closer to the semi-finals with this enthralling win! Don't go anywhere folks, match report and highlights in just a bit! 90+3' SO CLOSE FOR Churchill! They go on the attack and deliver an inviting cross from the right, which is saved excellently by Albino Gomes! 90+2 Aizawl don't want to sit back onto their lead anymore. They are seemingl more hungry for a goal than Churchill at this point. Can the Red Machiners get an equalizer? 90' 4 Minutes of extra time is added as Aizawl break excellently on the counter attack. Al Amna finds himself in loads of space but messes up the move in the end. 89' GOALLLL!!! AIZAWL GET THE WINNER LATE INTO THE GAME! AND It's Danmawia once again for the Champions, who creeps ino the box and hits a great header to put Aizawl back into the lead!! 88' The Champions look to be desperate for a win here as the keep on attacking. They get a corner which is defended well by Churchill, who themselves creat a solid move on the corresponding attack as Kromah's rocking shot is saved well by Gomes! 86' Aizawl go on the attack as Al Amna makes a sturding run towards the goal and passes it to Rane before going down, as Jayesh's curling shot is saved expertly by Kumar. Rane plays provider on the corner, but Mehta's header goes over! So Close! 84' GOAAALLL!! Kromah makes no mistake on the penalty, as he shows great composure and sends Albino Gomes the wrong way to equalize for Churchill. GAME ON! 83' PENALTY TO CHURCHILL! Brandon Fernandes has won a penalty for Churchill Brothers, as he is fouled by Chullova in the box! 82' How many chances do Churchill need? They create another oppportunity through the right as Keenan Almedia sends Gabriel Fernandes free but his shot is wide of the target. 81' Khalid Jamid seems to be livid at his players for being slopy at these final minutes of the match. Churchill Brothers create an amazing chance as Sona drifts in and passes to Kromah who hits a shockingly bad shot wide. Wasted! 78' Substitution for Churchill. The disappointing Chesterpaul Lyngdoh is replaced by Pankaj Sona. 76' Aizawl are sitting fairly deep in these last minutes. They do manage to launch an attack as Jayesh Rane almost intercepts Almeida's chest to his keeper, but Kumar holds onto the ball. 74' Substitution for Aizawl. Brandon is replaced by H. Thanga. 72' Brandon Vanlalremdika seems to have pulled a muscle and will need to be substituted. Churchill look to capitalize on this and a good cross comes from the right, but miscommunication amongst Churchill's own players wastes this opportunity! 70' Great Defending by Adil Khan! Al Amna finds himself in a goal-scoring position in the box but the defender makes a crucial tackle as Aizawl get a corner. 69' Chesterpaul Lyngdoh with another miss! Churchill finally create a chance as Lyngdoh finds himself in a shooting position, but his left-footed attempt goes wide of the goal! 68' The playing conditions have really regressed from all this rain. Churchill are finding it difficult to play out of defence because of the slippery pitch. 66' Yellow Card for Keenan Almeida. Churchill's captain makes a foul too many and is booked for another rash challenge as Aizawl can't do anything from the corresponding free-kick. 65' Churchill are finding it difficult to contain Aizawl in this half. Jaryan sends away Chullova on the left but he can't find anyone in the box! 63' Rane is back in the field for Aizawl. The Champions pile on the pressure on Churchill by launching another attack through the right, but Al Amna is detained by the their defence. 61' Baya Kamo has got many glorious chances today and needs to improve on his finishing. Jayesh Rane is down for Aizawl, and seems to have hurt his knee. This could be a worry for Aizawl! 59' Churchill Brothers break on the left flank from that attack. Chesterpaul Lyngdoh again finds himself in a good position in the left side of the penalty box, but fails to deliver a pass for Kromah! 58' WHAT A CHANCE FOR AIZAWL! The Champions launch a stunning counter attack as Baya Kamo finds himself one on one with the keeper, but cannot score past Kumar! Wasted! 56' Substitution for Churchill: Surchandra Singh is replaced by Gabriel Fernandes who immediately drifts into the right wing position. 54' Aizawl finally get some possession and attack through the left flank. Jayesh Rane provides an excellent pass to Baya Kamo who cuts in and shoots to no avail. Brandon's shot from the rebound is saved by Kumar. 51' It has started raining cats and dogs now in Cuttack. A respite from the heat, but it will be difficult to play in these conditions. Churchill try to attack through the left by Kromah loses possession in the wing. 49' Chullova is back into the field now. Churchill have kept the majority of the possession so far in the 2nd half and haven't let Aizaw see much of the ball. 47' Churchill create a superb chance through the left as they instantly test Mehta. Seriton's cross is parried out by Chullova, who has been injured becaause of it. 46' Mehta has drafted into the right back slot. Lalruatthara has moved into the center back position with Chullova moving to the left. 08:05 pm: Ashutosh Mehta is coming on for Zotea Ralte! Mehta hasn't played ever since Aizawl's win against Mohun Bagan last month, so will be interesting to see how he makes his comeback. 08:00 pm: It has started to rain quite heavily at Cuttack. 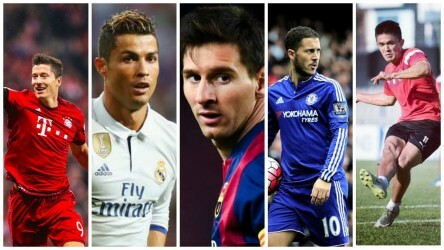 Will be interesting to see how the teams adapt to this drastic change in conditions and who comes up on top. 2nd half begins in just a bit now! The half started off with both teams looking to gain the upper hand in the middle of the park, but Churchill Brothers looked the bigger threat. They almost capitalized on Aizawl's shocking defending at times, before Keenan Almeida conceded a horrible penalty and allowed the I-League Champions to go ahead. The Red Machiners almost gave an instant answer when Chesterpaul Lyngdoh found himself on acres of space thanks of Aizawl's questionable defending but couldn't equalize for his side. Churchill Brothers have looked like the hungrier side, but the NorthEastern Club go into the half with the club. Don't go anywhere folks, we'll be back with the 2nd half coverage in just a bit! 45+2 Aizawl make a surprising attack as Al Amna passes to Bayi Kamo who finds himself in some space, but his shot is straight to the hands of Kumar. Half Time! 45+1' Two minutes of added time is announced. Both teams look to create a final chance but are unable to do so. 44' Churchill Brothers have looked like the hungrier side today. They try to create another chance through the left as Lyngdoh drifts left and provides a cross, but noone is at the end of it. 42' Kromah is the man again at the root of Churchill's attack as he gets a free-kick after being fouled by Alfred Jaryan. Brandon Fernandes takes a thunderous shot on goal as the ball almost thumps into the net thanks to the fierce wind. 40' Kromah gets into a physical battle with Zotea but the latter prevails. Churchill are finding it really difficult to penetrate Aizawl's defense after enjoying some good fortune in the early minutes. 38' Lovely move from Aizawl from the middle as Brandon gives an excellent pass to Bayi Kamo whose shot goes blazing into the stands! 37' It seems to be very windy at Cuttack today. Aizawl again attack from the right as Al Amna gets into a promising position but is tackled superbly by Adil Khan. 35' Brandon is down for Aizawl FC. Meanwhile Churchill get a free-kick but the curled delivery is headed out by Aizawl's defence. 33' Lyngdoh is turning out to be a nightmare for the Aizawl defenders. He drifts to the left and is almost fouled on the box before the ball goes for a goal-kick. 32' Aizawl are putting a lot of pressure on that right flank, as Chullova's cross is cleared off by Rowlinson. 30' Aizawl get a corner which is taken short by Jayesh Rane. But his superb cross couldn't be headed in by anyone in the box. 28' Churchill seem to have lost momentum after conceding. Aizawl are playing their defensive formation perfectly, and are not allowing Churchill to get a sniff. 27' Khalid Jamil has been extremely vocal today and has almost orcastrated every move with his voice. Aizawl are looking to stay in control and slow down the game. 25' Aizawl get a promising free-kick at the left wing. Jayesh Rane's delivery from the free-kick isn't that good as Churchill regain possession. 22' WHAT A CHANCE! Chesterpaul Lyngdoh finds a ton of space on the right and makes a darting run towards the goal, but his shot is saved really well by Albino Gomes. Shocking defending by Aizawl! 21' GOAALLL!! Chullova takes the penalty and blasts it to the right side of the net to give Aizawl the lead! 19' PENALTY TO AIZAWL. Lalruatthara makes a surging run towards the left flank but is fouled by Keenan Almeida inside the box. 16' Churchill keep on attacking through that left flank as Bektur gives a sleek pass to Kromah who was offside but just a slight margin. 14' Aizawl launch an impressive attack through the left as Mahmoud Al Amna passes to Brandon Vanlalremdika who dribbles past Keenan Almeida and delivers an inviting cross, but nobody is able to get on the end of it. 13' Both teams are finding it difficult to retain possession and keep control of the ball. A lot of impatience in the middle of the park, as this midfield battle is heating up as the game progresses. 10' Churchill are looking to hurt the Champions on the wings, and Bektur is fouled once again. Aizawl's full-back's are under a lot of pressure right now! 9' Lalram Chullova has some space as he makes a diagonal run to the middle and takes an ambitious shot which is saved by Naven Kumar. 7’ Khalid Jamil’s men are trying to attack through the middle but are unable to do so. Churchill get the ball back and charge through the left, but Bektur is fouled on the left wing as Churchill get a freekick. 5' Aizawl look to control the play and launch an attack through the ride, but Bayi Kamo's header is deflected to a corner! 3' Early Chance for Churchill as Ghanefo Kromah passes the ball to the left to Surchendra Singh. The ball is crossed to Chesterpoul Lyngdoh but his shot goes sailing over. 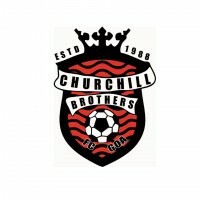 1' Churchill Brothers kick-off and are on the attack straight away. Kingsley Eze takes a stamp on his ankle and is down! 07:05 pm: Aizawl are in a huddle for a team talk before the match begins. They look motivated to get all 3 points today. 07:05 pm: Both teams shake hands and look ready to play. Kick-off in a bit now! 07:00 pm: The teams are coming out to play! Aizawl seem to have a lot of support in Cuttack as their fans have traveled a long way to see the champions do the double. 6:55 pm: This will be an entertaining match with both teams needing a win to progress to the semi-finals. Just a few minutes to kick-off. Stay Tuned, Folks! 06:50 pm: Churchill Brothers: Naveen Kumar, Keenan Almeida(C), Rowlinson Rodrigues, Adil Khan, Seriton, Chesterpoul Lyngdoh, Surchandra Singh, Bektur Talgat Ulu, Brandon Fernandes, Ghanefo Kromah, Richard Costa. 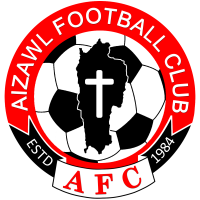 Aizawl FC: Albino Gomes, Lalram Chullova, Eze Kingsley, Zotea, Lalruatthara, Brandon Vanlalremdika, Alfred Jaryan, Mahmoud Al Amna, Danmawia Ralte, Jayesh Rane, Kamo Bayi. 06: 45 pm: Churchill Brothers rode on the brilliance of defender Adil Khan to get a vital draw against East Bengal in the first match of the Fed Cup. Despite not being that good attacking-wise, they got an equalizer in the dying minutes of the game and will look to get a surprise win and enhance their chances for the semi-finals. 06:40 pm: Aizawl made a stunning turnaround in their win against Chennai City on Sunday, with the I-League Champions turning around a 2-0 deficit to win the match 3-2. They will look to ensure their progress to the semi-finals today, but will have to work hard to crack open the stubborn defence of Churchill Brothers. 06:35 pm: To get us started here's all you need to know about this year's Fed Cup in Cuttack. 06:30 pm: Hello and welcome to the Federation Cup fixture between Churchill Brothers Vs Aizawl FC. This is your host, Uttiyo Sarkar.